There are few cuisines in the world that have more creative uses for ground beef than Turkish cuisine. Ground beef, and sometimes ground lamb, is used to make countless varieties of meatballs for stewing, baking, and grilling. Ground beef is also an ingredient in baked dishes like musakka and stove top favorites combined with vegetables. You'll also find ground beef in fillings inside vegetables, breakfast pastries, and Turkey's famous layered pies called börek. Here are several popular dishes made with ground beef. On the streets, meatballs are affectionately called 'cızbız' (JUZ' BUZ') which imitates the sizzling sound they make when cooking on the grill. 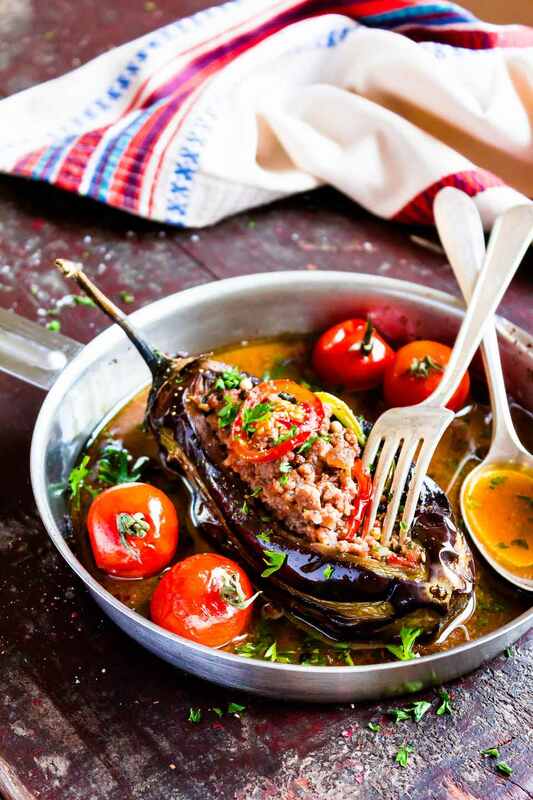 Whether you grill, pan fry, or broil them, Turkish 'köfte' makes a great, easy meal the whole family will love. While this recipe features ground beef, köfte can be made with different mixtures of ground beef, lamb, or chicken. Kadın budu kofte, or lady's thigh meatballs, have a funny name and a unique way of being prepared. Cooked rice is used as the binder rather than bread, and they are coated with egg and flour before being fried in hot oil. This produces meatballs that are tender and juicy inside but have a crisp crust. They pair well with french fries and the Turkish navy bean salad, called ​piyaz. Izmir, on the Aegean coast of Turkey, used to be the historic city of Smyrna. İzmir Köftesi means meatballs from Izmir and is a meatball casserole with fried potatoes, tomatoes, and peppers. It tastes even better if you take the first step and fry the potatoes and meatballs then combine it with the other ingredients, and let it sit overnight in the refrigerator for the flavors to blend. This stuffed meatball is produced from a spicy meat and nut mixture encased in a bulgur and potato casing, which is then fried. It's seen in the southeastern areas of Turkey. You'll often see it in restaurants as an appetizer or at parties as finger food served with a yogurt, dill, and cucumber dip. In all of the Mediterranean countries of the former Ottoman empire, you can find the layered eggplant and meat casserole called moussaka. In Turkish cuisine, it's called musakka and is usually made with beef rather than lamb. It may be made with or without bechamel white sauce on top. Karnıyarık is made with young, tender eggplants. They are stuffed with a filling of beef, tomatoes, onions, and garlic and then baked. It's a homestyle recipe you will enjoy if you love eggplant. Kids love this dish where small cups are made out of ground beef and filled with a generous mound of Turkish-style mashed potatoes. They are then sprinkled with fresh Turkish cheese and baked.